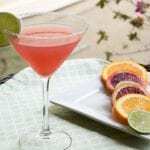 In honor of National Margarita Day earlier this week on February 22nd, this skinny margarita was a must! I do not really post about alcoholic drinks but this was too good to not share. I could not believe how tasty this was being low cal with simple ingredients and flavors that burst in your mouth. I also do not drink margaritas too often but when I do I opt for a skinny version. Did you know a regular margarita can pack in 400-500 calories?! (yikes!) It is so easy to let the calories build up when drinking if you are not careful. And who drinks just one? I was a server for 5 years and people never just drink one! It’s important to not only be a mindful eater but to be mindful of the liquid calories as well. If you are anything like me… I would rather EAT my calories, not drink them all. 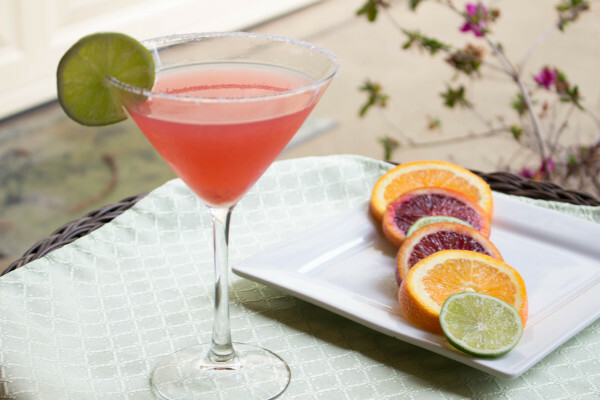 So in that case this low-cal margarita will be your friend with only ~100 calories or less and a party in your mouth. This recipe does not use any margarita mix since that is pretty much just straight sugar. Many restaurants now are including a “skinny cocktails” sections on their menus. If you are not making your drinks from home be sure to ask your server what is in their skinny drinks. Now on to the recipe, hope you enjoy! Prep low ball glass or martini glass. Take a slice of lime and run it gently around the rim of the glass. Flip over glass into a plate of kosher salt until rim is covered. Set aside. Squeeze and combine all juices and place in a shaker. Add in triple sec, tequila, agave nectar, ice, and sparkling water. Add in ice cubes and shake well. Poor in prepared glass and garnish with a lime.